Luxury Gold Foil Stamp Business Card printed on Suede 22pt. Paper Stock. A supreme combination of our soft suede finish and premium gold foil, this business card design is created for those who want a lavish look with a minimalistic touch. 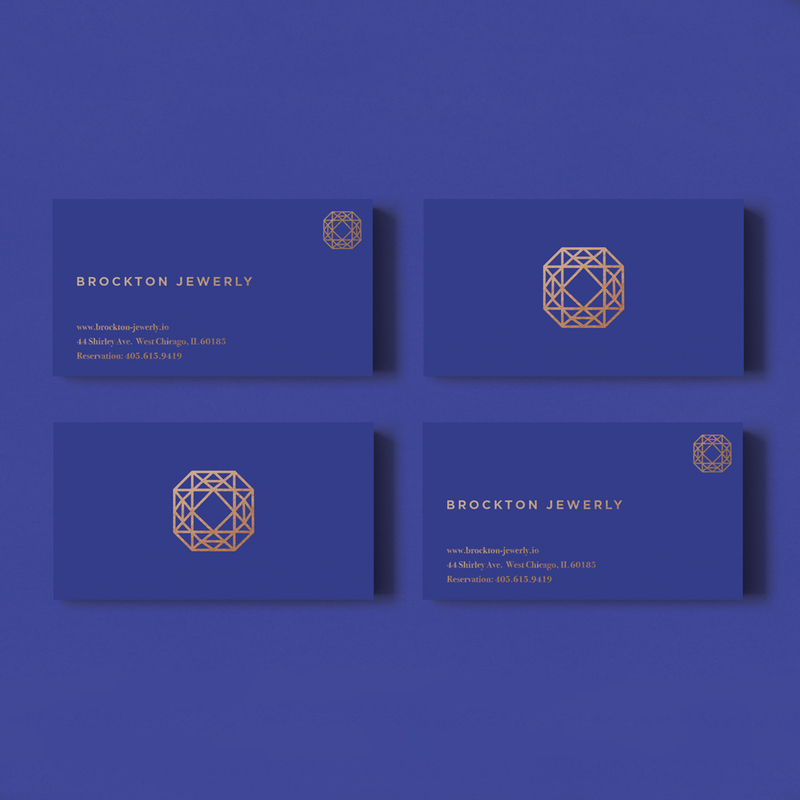 The contrast between the royal blue and decorative gold emphasizes luxury and elite qualities of your business. This template is perfect for businesses that deal with high-end quality goods and services. We will customize this card for you using your own logo, images, and text. Customization is limited to typesetting, image resizing, image placement.